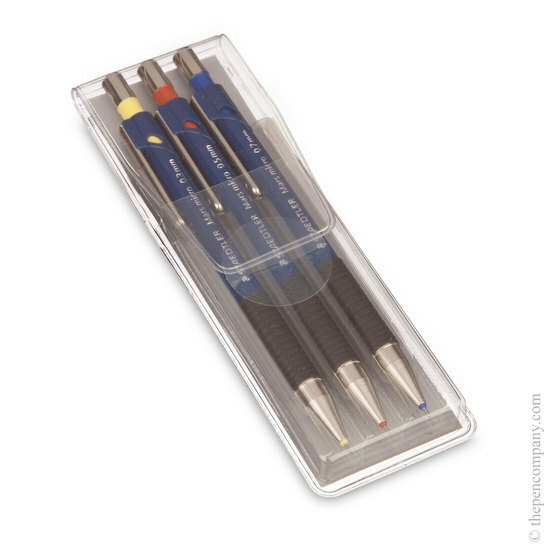 This set of 3 Mars Micro mechanical pencils comes in a convenient plastic wallet containing lead widths of 0.3mm, 0.5mm & 0.7mm. 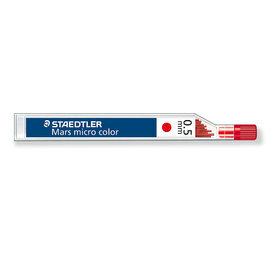 The lead is propelled by a push button and the metal lead sleeve can retract, making it safe to carry in your pocket. 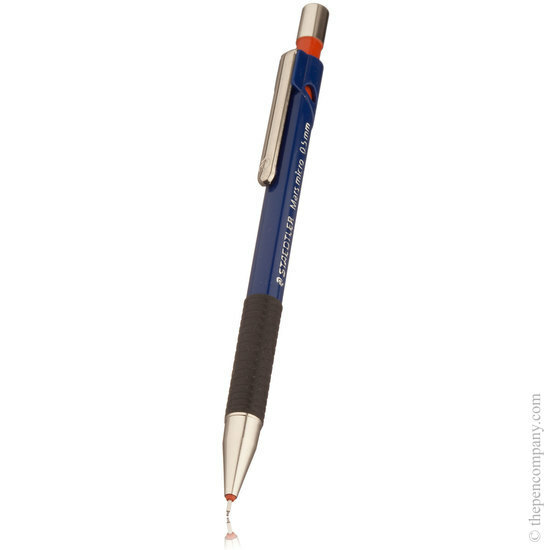 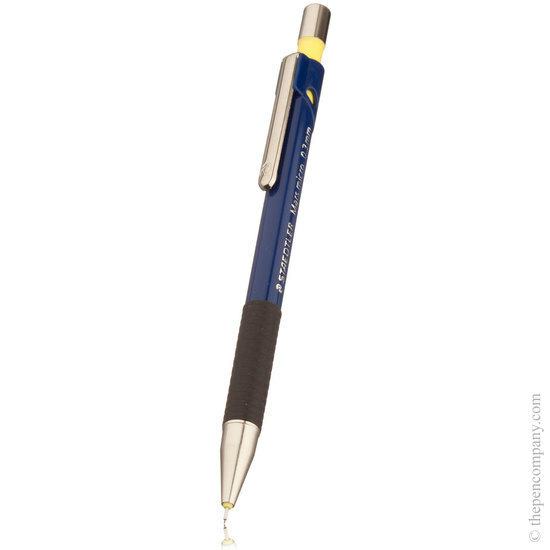 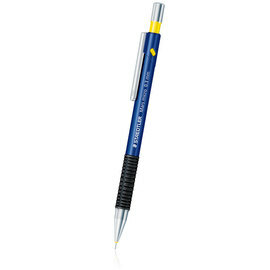 The blue body of the pens combines with a black rubber grip and a rubber ring around the lead sleeve to give a smooth, non-slip writing experience.